There are numerous ferries to Koh Phi Phi from different starting points all along the south west coast of Thailand. It’s also possible to buy a combined bus and ferry ticket from Bangkok to Koh Phi Phi if you want to go straight there from the capital city. 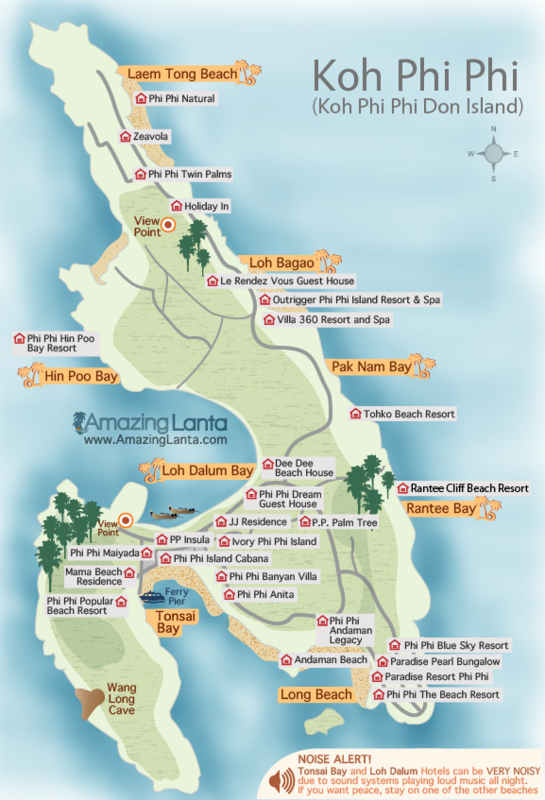 Quickly get your bearings about which beach to base yourself on in Koh Phi Phi.